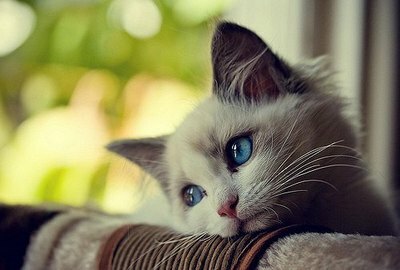 Section ” Cat’s treatment” on our site designed to provide cat’s owners with information about the major feline diseases, which often have to deal with. Here we consider the main symptoms of these diseases, as well as give the necessary advice on the treatment. Of course, some of the disease itself is better not to treat, and go to a veterinary clinic. However, many of these diseases can be treated at home; other can only be prevented. Learn how to do it, take care of your pets! Cats can have many of the same diseases that humans can. And cataract is one of them. What to do if your cat has cataract? How to prevent this disease? What causes cataracts? 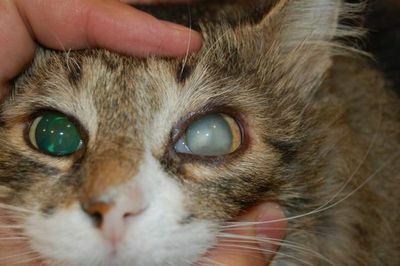 And what are the symptoms of cataract in cats? You will find answers to all these questions in our article. Cat Hiccups – Why Is My Cat Hiccupping? Sometimes cat hiccups can be cute and even funny, especially when your little kitten is trying to purr or eat her snack, only to be repeatedly interrupted by light little cat hiccups. However, if the cat hiccups continue for a long period of time and don’t stop, you may start to worry about your cat friend. In this article we’ll talk about why do cats hiccup, and what to do if the hiccups don’t stop. 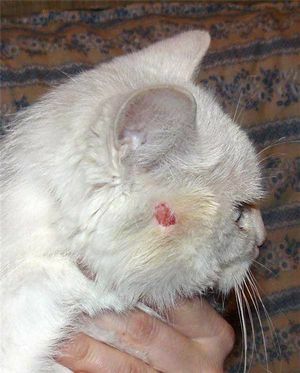 Ringworm is an inflectional skin and fur disease. It may be caused by the variety of microscopic dermatophytes. Two kinds of fungus disease: microsporia and trichophytosis, are called ringworm, their symptoms commonality became the reason for the same name. Besides, another disease named favus, regarding cats known as tetter, is called ringworm. Coughing in cats is quite rare phenomena, though nevertheless there are many diseases that are accompanied by a cough, or it may be the primary symptom. However, even if your cat cough, there are no reasons for panic, because in most cases this is not a sign of disease, but only a protective reflex aimed at removing foreign objects, liquid smoke or other irritants from the respiratory tract. Even more we state that a prolonged coughing may indicate the development of the disease and, in this case, an accurate diagnosis can only be made on the basis of veterinary inspection of the cat or its analyses. Gastritis is an inflammation of the mucous membrane and the lining of the stomach. Gastritis is divided into two types: an acute and chronic and its appearance can be primary or secondary. By its nature gastritis is divided into three types: karatal, hemorrhagic and purulent. Gastritis is accompanied by motoric, secretory and excretory disorders. Ear mites in cats: how to treat? The ear mite (Otodectes cynotis) is the causative agent of a dangerous disease – otodektic otitis. It is quite a serious disease which in case of delayed treatment can become chronic. Otodektic otitis affects the inner surface of the cat’s ear causing an intolerable itch. 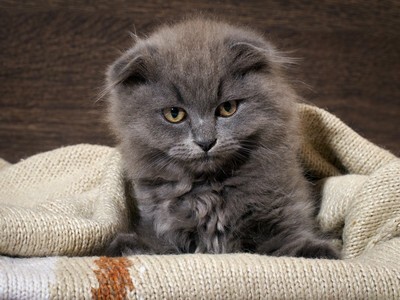 Diarrhea in cats is very unpleasant stomach upset. Not only people suffer from this disease but also animals including cats. 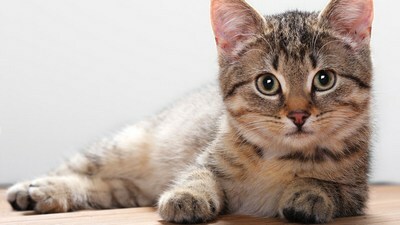 Symptoms of diarrhea in cats are frequent defecation, with liquid faeces which is less than usual. 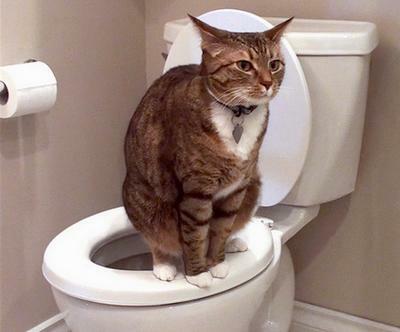 Color of the faeces during diarrhea in cats can have black or red shade in case of bleeding in the gastrointestinal tract. Besides this there are some other symptoms of diarrhea, such as nausea, lack of appetite, abdominal pain and dehydration. These factors will cause a cat’s stress and trouble for the owner. That is why starting the treatment of diarrhea in cats is necessary as soon as you notice the symptoms. Feline distemper is very scary and dangerous viral disease. This virus attacks the red blood cells, marrow cells, gastrointestinal cells and even fetal stem cells. This disease is the hardest for the kittens under the age of six months, pregnant cats and animals with weakened immune system. In these cases without urgent treatment the probability of animal death is very high. Cat Love Bites – Why Do They Do That?